The Holiday let spa: perfect tranquillity with user-friendly solutions. Perfect for guesthouses, apartments and holiday camps. 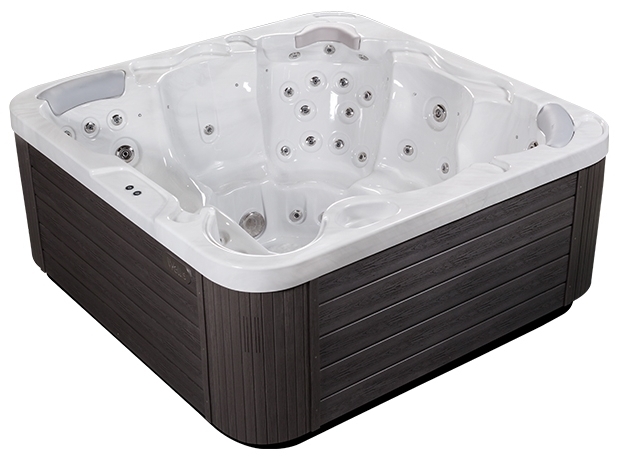 It has only 2 single-button topside panels, so the customers/bathers don’t have to bother about programming. They can only start and stop the massage function and control the LED lighting. The filter cycle, water temperature and other features’ programming can be done on a control panel hidden under the side panel, or via a mobile phone application. Automatic chlorine dispenser provides crystal clear water effortlessly.